Image © DC Comics. Written by Nalo Hopkinson, art by Dominike “Domo” Stanton, colors by John Rauch, letters by Deron Bennett, cover by Sean Andrew Murray. 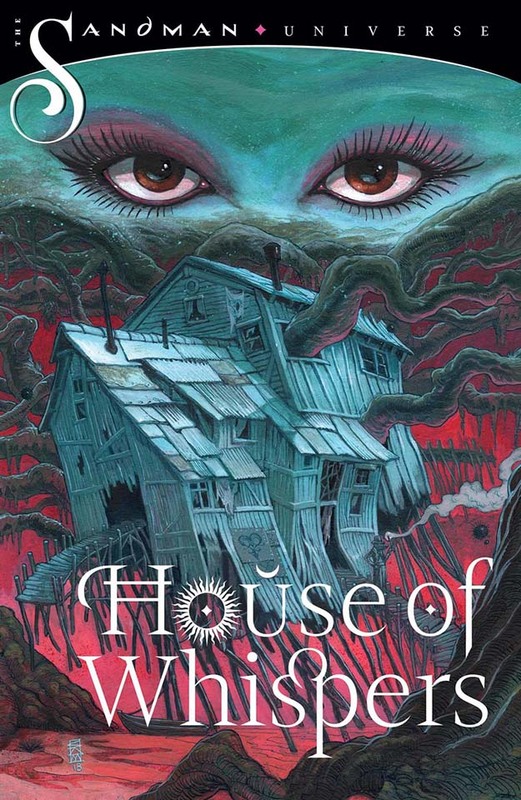 Mistress Erzulie is having a wild party in her houseboat in a part of The Dreaming we haven’t seen before, one that seems to draw from the world of voodoo, the realm of cajun swampland, and the dreams of people of color. While the partiers cavort, sing, eat and drink, a series of human dreamers come before Erzulie to ask for help and favors. Meanwhile, in waking world New Orleans, four girls are playing telephone with a very dangerous book, whose owner, the deity Shakpana, wants it back badly enough to try to break through into the waking world, something he’s been forbidden to do. When Erzulie gets wind of it, all kinds of trouble will be unleashed. I did not find the introduction to this book in SANDMAN UNIVERSE 1 to my taste, but thought I’d give the series a try anyway. My reaction is much the same. I don’t find any characters here that draw me in and make me want to know more about them. I sense this book has an audience it does speak to, but I’m not it. That’s fine, there are plenty of others that do, and there’s room for new voices and new audiences. Perhaps you’re the audience for this one. This entry was posted in Comics, Reviews on October 29, 2018 by Todd.